Mr. Ozekhome also urged Nigerians to defend the nation’s democracy, adding that a strong judiciary is one of the fundamental platforms for any meaningful constitutional government. According to him, the Buhari administration is setting the stage to scuttle the nation’s democracy by using strong hand and brute force. He argued that the government has been consistently intolerant of dissenting voices and had invaded the homes of judges, laid siege on the National Assembly and the residences of Senate president and his deputy. “It is clear that this government, which protects its own members, however corrupt and despicable, has blown into full maximum dictatorship, totalitarianism and absolutism. Nigerians must say no to fascism,” Mr. Ozekhome stated. “The latest onslaught is against the Chief Justice of Nigeria, Justice Walter Nkanu Onnoghen, a man of great nobility, erudition and lucidity of thought. “It has come to light that the government has hurriedly filed charges against Onnoghen, even with a motion (most curiously and unusually), that he should recuse himself from his Chief Justice-ship until the case filed against him is finally determined by the Code of Conduct Tribunal (CCT). “This is to force him out of office. The phoney and ridiculous charges are that Onnoghen failed to declare his assets and that he also maintains domiciliary accounts, contrary to the provisions of the Code of Conduct Bureau Act,” Mr. Ozekhome said. 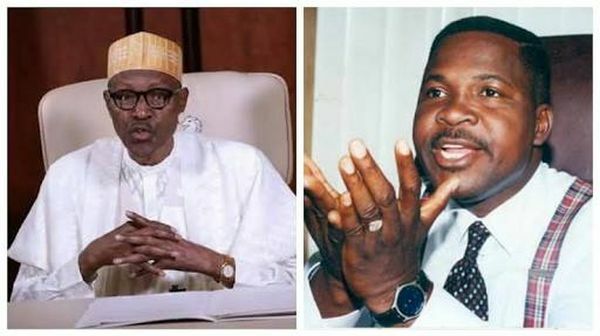 He insisted that the charges are political, and designed to intimidate the judiciary ahead of the 2019 presidential election and force out Justice Onnoghen, who, as the CJN, will constitute the Presidential Election Tribunal that will entertain disputes arising from the election. The second fact, he said is even after the recommendation of Mr. Onnoghen as CJN by the NJC on October 13, 2016, it took Vice President Yemi Osibanjo to appoint him as CJN on March 1, 2017. He said the appointment followed outrage by a majority of Nigerians, and at a time the president was abroad on medical vacation. The third fact is Justice Onnoghen became the first Southerner to be made CJN in 30 years, after the last Southerner, Justice Ayo Irikefe, occupied that exalted office in 1987.